Ace Froggy Jump for Windows Phone is The most baffling game. Help Little frog or frog to jump smart setp-by-step on platform. There is no rope for frog experiment. Frog is ambitious to Skypath destination. Smart frog move from one platform to another by jumping and trying to Reached on top gear. 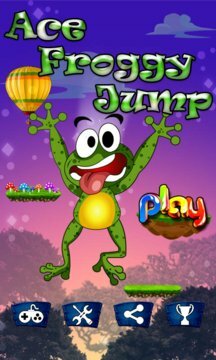 Ace froggy follow the Jigsaw, jigty path, take charge kingdom by winning all obstacles. Little Frog is cube Heroes who does not like Dumb Ways To Die, so I use the balloons and rockets buster to climb higher and bring down enemy climb like bird. Jump on the platforms above Froggy. Tap the screen to launch space-rocket! 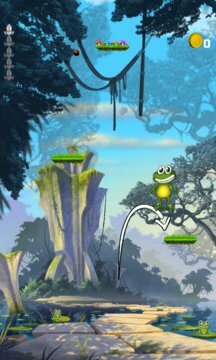 Pick up power-ups Froggy They help getting higher!